A marvelous Renaissance villa on the proximity of Rome, in Tivoli, right in the center of the city at the foot of the Lucretili Mountains. Here, in a fantastic naturalistic landscape between valleys and plains on the border between Lazio and Abruzzo, rises Tivoli, known in the past as Tibur. 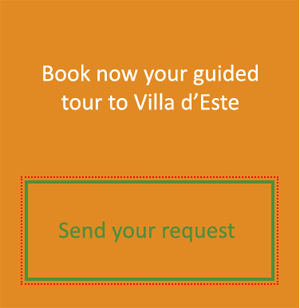 A city full of points of attraction and cultural places among which stands out Villa d’Este. Built at the end of the sixteenth century on a project by the architect Pirro Ligorio in the place where once extended the “Gaudente Valley”. Villa d’Este is today a masterpiece of art and nature that was not coincidentally included in 2001 among the UNESCO heritage sites. The villa was built by Cardinal Ippolito II d’Este, the son of Lucrezia Borgia and Alfonso I d’Este, Duke of Ferrara, at the beginning of the Renaissance. 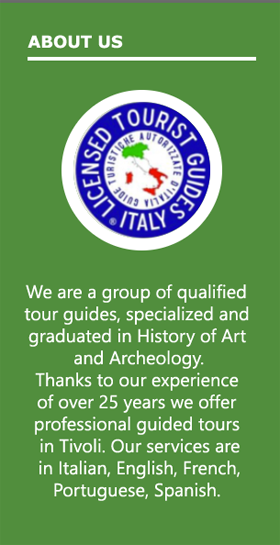 Together with Villa Adriana and Villa Gregoriana, he composes the triptych of sites to visit when you go in Tivoli, for this reason it is known as ‘the city of the villas’. Villa d’Este was commissioned by Cardinal Ippolito d’Este who had received as a gift from Pope Julius III, the actual Pope, several territories in the Tivoli area. To have direct control over those vast territories, the cardinal decided to move to Tivoli to be able to manage everything in first person. So Villa d’Este was born and inaugurated in 1572. Over the years numerous artists worked to give the villa importance and prestige. Among them, Gian Lorenzo Bernini managed to bring this structure to levels of absolute excellence. In the eighteenth century Villa d’Este went through a period of degradation, this was due to the change of ownership to the Habsburgs House. In these years there is the abandonment of the garden with its hydraulic games, which are the strenght of Villa d’Este; during the year there was the deterioration of ancient statues present, dating back to the time of Cardinal Hippolytus. Only in the mid-nineteenth century Villa d’Este Gardens were undergoing renovations works thanks to Cardinal Gustav von Hohelohe. In these years, famous personalities such as the musician Franz Liszt passed through the walls of the marvellous and reborn villa. Here he composed the piano sonata “Water games at Villa d’Este”. With the First World War Villa d’Este became the property of the Italian State and opened to the public; between 1920 and 1930 several renovations were completed. The greatest restoration of the contemporary history of Villa d’Este comes after the Second World War, to remedy the damage caused by the bombings of 1944. 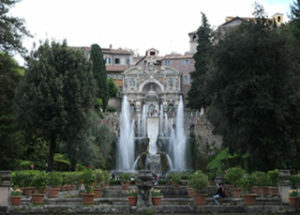 Works that have continued in recent years in order to deliver Villa d’Este as it is today : a triumph of fountains, two of which designed by Gian Lorenzo Bernini (the Bicchierone Fountain and The Organo Fountain Waterfall), which offer to visitors unique water games. Thanks to its great concentration of fountains and waterways, Villa d’Este has represented one of the most imitated models in European gardens. A work that goes to embed itself in a landscape, like Tivoli’s, already rich of archaeological and historical finds. The guided tours of Villa d’Este Gardens are among the most desired by tourists from all over the world and are part of a tour already rich of sites to visit that can also include Rome, given by the proximity between Tivoli and the Capital.